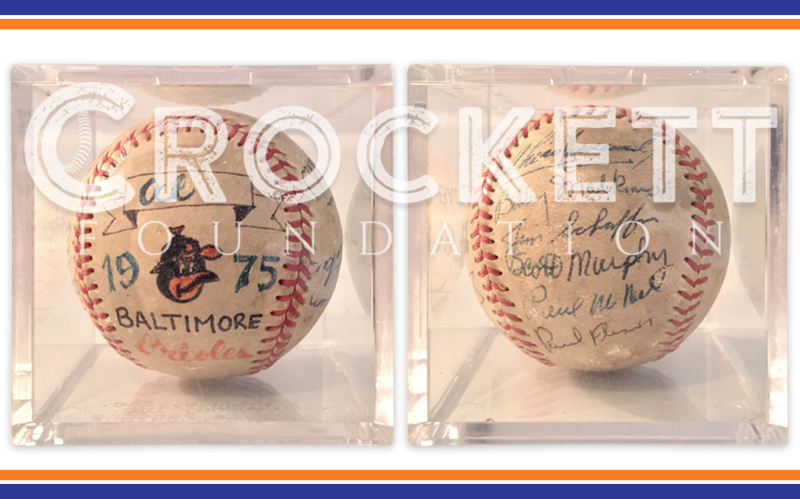 Autographed Baseballs | Crockett Foundation - Tag In & Help Out! The Crockett Family saw hundreds of baseball players, managers and coaches come through the doors of Crockett Park but they weren’t there just to lay a game. Many of those team members became extended members of the Crockett Family. The family helped plan weddings for them at a local park, babysat their children and had cookouts after Sunday games so that the players always knew they had support both professionally and personally in the front office. The Family also made sure that the players were involved in the community. They held junior baseball clinics so that kids could be pros for a day. The players went to schools and hospitals in an effort to give back to the community that some of them still call home.